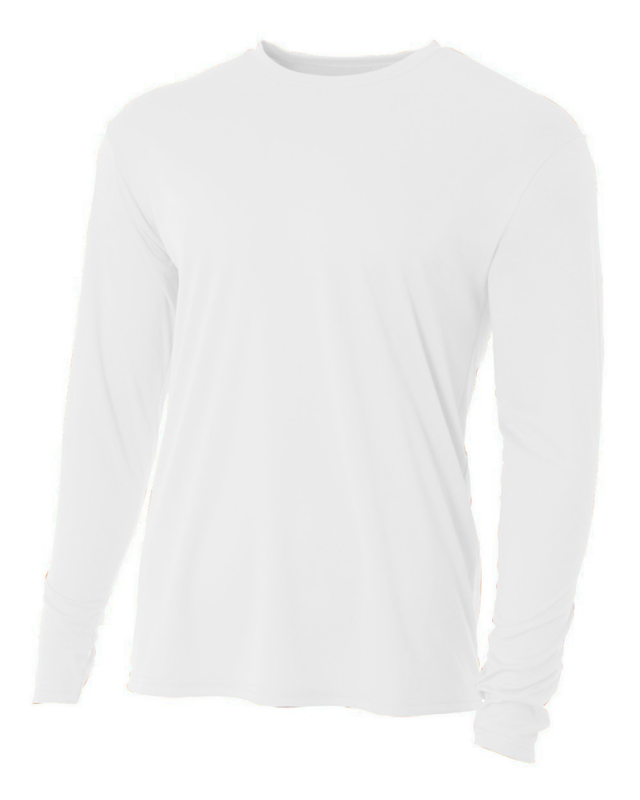 - A4 Adult 4.0 Ounce Poly Cooling Performance Long Sleeve T-Shirt. - As in N3142, with long sleeves. A4 Adult 4.0 Ounce Poly Cooling Performance Long Sleeve T-Shirt. As in N3142, with long sleeves. 100% Micro Poly Interlock, 4.0 ounces per square yard. Moisture wicking. Odor resistant. Stain release. Ultra tight knit for better printability. Reinforced shoulder seams and double needle cover-stitch hem. Tag free neck. Sublimation and screen print ready. 44+ UPF for UV sun protection. Sizes S-2XL: Graphite*, Navy*, Royal*, Scarlet*. Sizes S-3X: White, Athletic Orange, Black, Cardinal*, Forest, Gold, Light Blue, Maroon, Purple*, Safety Yellow, Silver. *Colors Ship From Vernon, CA.